Rushing home after a long day at law school, I eagerly anticipated tuning in to the Milwaukee Brewers match-up with their division rivals, the St. Louis Cardinals. With the two teams vying for a spot in the upcoming playoffs, the game’s broadcast was, expectedly, upgraded to a national broadcast on ESPN. But as I tuned in, I couldn’t find the broadcast. I checked online, and sure enough, my Minneapolis cable provider had blocked the broadcast. They incorrectly determined I was within viewing territory of the local Fox Sports Wisconsin broadcast of the game. On top of that, my MLB.tv internet streaming subscription was blocked because of their policy of not airing national broadcasts. Despite my numerous subscriptions to ensure I could view all Milwaukee Brewers game throughout the season, I was prevented from watching one of their biggest games of the year. To MLB fans, my situation comes to no surprise – the “black-box” broadcasting policies of the league leaves many viewers without choices, since MLB-determined blackout territories usually outreach local broadcasting territories. 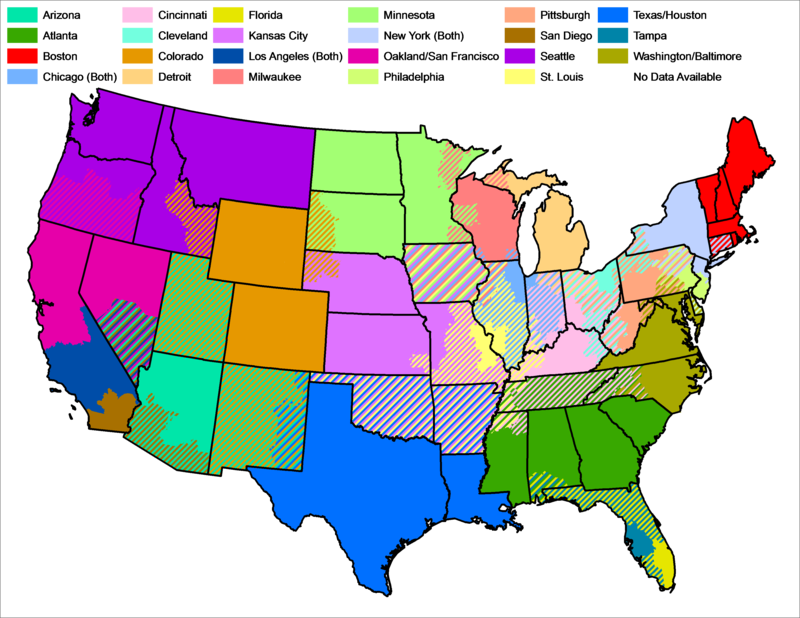 Cities like Cedar Rapids, Iowa, or Las Vegas, Nevada, fall outside any local viewing broadcast territories, yet sit between six overlapping MLB blackout areas. Complaining fans have caught the attention of the legal system. A couple recent class action lawsuits seek to challenge the MLB’s policy of entering these lucrative contracts with local broadcasting networks. However, they face difficult legal hurdles, specifically the established Baseball Exemption. The two lawsuits, Laumann v. NHL and Garber v. Office of the Comm’r of Baseball, were consolidated, and sought to singlehandedly dismantle these television contracts as violations of the Sherman Act. Legal scholars expressed optimism this would end the Baseball Exemption defense as applied to broadcasting. As these scholars expected, the United States District Court for the Southern District of New York, on denying MLB’s motion for Summary Judgment, rejected their argument that the Baseball Exemption applied to televised broadcasting. Sensing danger, the MLB settled with the class minutes before the trial began. While conceding marginally better access to their MLB.tv proprietary internet streaming service, they preserved their blackout policy. With their deep pockets, the MLB will continue this pattern of deferring judicial adjudication of the blackout policy by settling these class action lawsuits. If classes want to dismantle the MLB’s suspect blackout policies, they need to take the Supreme Court’s advice in Kuhn and resolve the problem via legislation. In 2015, Congress introduced the FANS Act to ensure antitrust laws applied equally among all American professional sports teams. There has been no movement since. Perhaps the lawsuit signals to Congress of the social and legal momentum to end the MLB’s blackout policies. However, these class action lawsuits will likely have no more effect than that. It will be interesting to see if Congress does anything with the introduced bill, as it appears the best route to fix this current problem.